The Dot Line Lens Mount Adapter for M42 to Canon EOS allows the use of Pentax/Universal M42 screw mount lenses on Canon EOS camera bodies. Lenses must be used in manual mode. Box Dimensions (LxWxH) 5.5 x 3.7 x 0.3"
Lens Mount Adapter for M42 to Canon EOS is rated 3.8 out of 5 by 5. Rated 5 out of 5 by TGas from Works perfectly! I have a few Vivitar lenses from the late 70's, and I wanted to use them with my Canon Rebel Xti (400d). Contacted B&H and they very helpfully pointed this thing out for me. Works like a charm! Also, I can now scour the internet for cheap old M42/universal mount lenses to revive. And guess what - if the old gear is imperfect, remember that Instragram is huge right now; lenses with a history grant character to your pictures. This lens adapter was a GREAT idea, as well as a money saver. Rated 3 out of 5 by Samuel H. from Works Well But Could Fit Better This adapter allows me to use my old Pentax lenses with my Canon 5D MkIII which is wonderful but it doesn't fit the camera terribly well which leads to the lens wobbling slightly when being adjusted. Could be better but I'm just happy to be able to use my Pentax lenses. Rated 4 out of 5 by Anonymous from Adapter is a close to must have. I bought this adapter so that I could use a few old lenses my dad gave me, with my Canon t3i. The two lenses are a Braun 2.8 35mm m42 thread mount and a Ricoh 3.5 200mm telephoto m42 thread mount. The lenses are in great condition so I figured it would be nice to take them for a spin on my EOS. So far the adapter has proven an excellent purchase, especially for the inexpensive price. It allows for one to find relatively inexpensive older lenses, rather than buying their evolved and extremely expensive counter parts, adapt them and breathe new life into them. The product fit quite snug against the camera body without feeling as though it would fall of at any second. 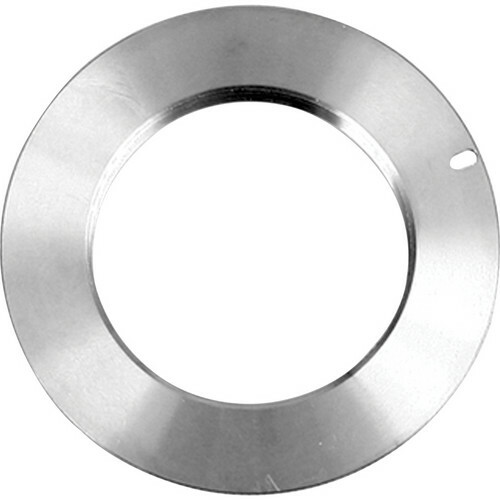 The one down side to this product is that there is no ledge around the inner ring to depress the pins for manual aperture control. This was a problem only on the Ricoh lens. Luckily the Braun lens has a switch on it for optional manual control over aperture. It would be nice to have one more of these so that I did not have to constantly screw and unscrew my lenses when I want switch between the two. Rated 4 out of 5 by Jordi from It works I'm a big fan of old lens and the M42 Lens Mount adaptor is a great way of connecting old Pentax lenses to a Canon DSLR. Even though you lose your auto functions it still makes it possible to use beautiful old lenses. Rated 3 out of 5 by Swenney from Works fine Seems to work fine but took months to arrive. If you need it right away, try another solution.